Opponents of Oakland California’s “Data Surveillance Center” (DAC) call it a Spy Machine. The DAC is a central surveillance facility where authorities can monitor the Port of Oakland and the city’s airport purportedly to protect against a potential terrorist threat. However, the sophistication of the system would in reality allow the government to track people at the push of a button. Oakland Council members have proposed expanding the DAC to add police license plate readers, live, 24/7 data streams from closed circuit traffic cameras, and even gunshot detectors all over the entire city of Oakland. Studies trying to determine the crime-fighting effectiveness of cameras have been inconclusive. An Ontario University study says there is no proven deterrent effect of surveillance systems such as the one proposed in Oakland (The studies looked at surveillance systems in ultra- surveillance cities like London). 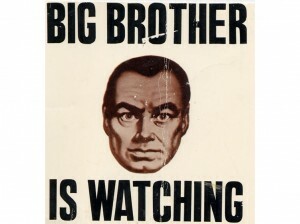 But, surprise-surprise, a US Department of Justice study says it can be a “potentially useful tool for preventing crimes” the study says, “when actively monitored.” Funny how the government that wants to increase surveillance would draw a conclusion that presupposed the study itself. My take? There is not enough resistance to stop the momentum of the surveillance and monitoring trend by our government. Sure, polls said people were uncomfortable with Meta-data and the NSA tracking potentially everything you say over the phone or on the internet. But uncomfortable is a long way from activism in opposition. The truth is that Americans are not offended enough. And because of that fact, the trend will continue, in our steady march towards an absolute loss of our privacy interests.